Now, a recent study has also found a potential link between cataract development and patients taking statin medications to lower cholesterol. This is in direct opposition to what had been commonly thought. Nothing is perfect, including your eye. As light enters the eye it is altered by imperfections in the cornea, lens, vitreous, and retina. We refer to these alterations as aberrations and the vast majority of aberrations are caused by the front surface of the eye called the cornea. Most aberrations are typical and refractive in nature such as nearsightedness, farsightedness, and astigmatism. These are called low order aberrations and can be compensated for with ordinary eyeglasses and contact lenses. Other aberrations are less typical such as coma, trefoil, and spherical aberration. These cannot be compensated for with ordinary glasses and contact lenses and are called high order aberrations. We can now measure many of these aberrations with an instrument called an abberometer. I find that about 10 to 20 percent of people I measure have significant nighttime higher order aberrations. If you have night vision trouble you probably have significant higher order aberrations under low light conditions and you should be measured! Based on these advanced measurements a pair of custom eyeglass lenses (free form/individual lenses) can be made to compensate for both your low order and higher order aberrations to improve acuity and contrast; especially in low light or nighttime conditions. At this time we are not able to compensate for all higher order aberrations, but our abberometer has a simulation mode which can accurately predict who is able to benefit from this new technology. Nearly 50% of your vision can be lost without you noticing. Approximately 2.2 million Americans have glaucoma. About half of them don’t know they have glaucoma. Glaucoma can be detected during routine eye examination with your optometrist. 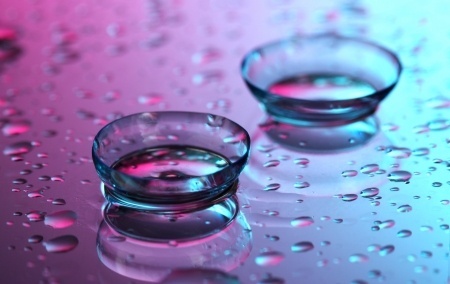 Did you know that uncoated eyeglass lenses actually increase glare by reflecting light off the surface of your lenses? The amount of reflectance varies depending on the material of lens used, but can be up to 16%. In contrast, anti-reflective coated lenses not only decrease surface reflectance, but also internal reflectance which helps make your lenses look thinner and less visible. They improve night vision driving and reduce eye strain while using your computer. There are differences between manufactures and the best quality anti-reflective coatings repel dirt/dust, reduce visible smudging, and offer greater scratch resistance. Zeiss invented the process back in 1935 and I believe is still the industry leader, but Crizal, Kodak, Pentax, and Hoya are also good choices.